ape Clear Ferries New Fast Ferry! We are delighted to have taken delivery of our new fast ferry, MV Brenemholm from Norway. It is capable of speeds of up to 20 knots and has a crane and cargo capacity of 6 tons. We are very pleased with the high quality passenger accommodation, which includes airline style seating, large windows, comfortable saloon, air conditioning, and other features. There are a number of steps needed to re-register this vessel with the Irish Marine Survey Office following which more details will become available regarding passenger numbers and other matters. 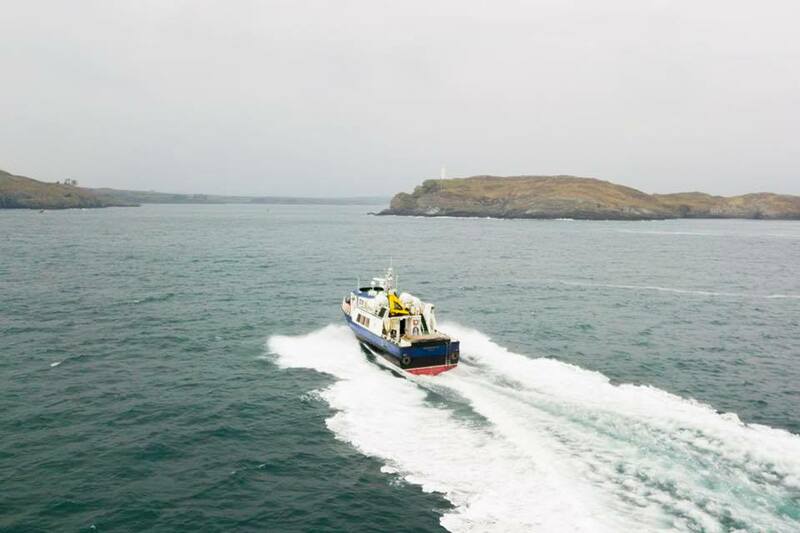 The vessel is intended initially for the Schull-Cape Clear Island route but permission will be sought from the Department of Culture, Heritage and the Gaeltacht to use it on the Baltimore-Cape Clear Island route as well. Our company is committed to ongoing improvements in all aspects of the Cape Clear Island Ferry Service, and hope that this vessel will prove the concept of a fast ferry service for the future. This investment represents a very significant upgrading of the ferry services in West Cork and our commitment to providing top quality marine based attractions on the Wild Atlantic Way.